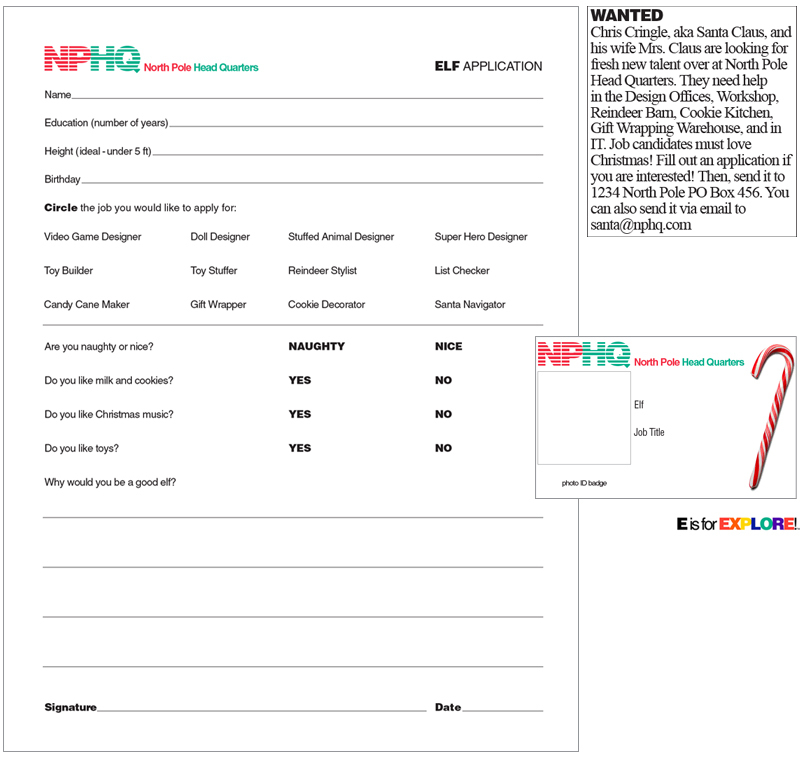 Elves Wanted - I was inspired by First Grade Parade's Elf application and Dorr Elementary School's awesome PBL elf activity to create my own. First, create a "Wanted" ad and glue it in a newspaper. Kids check out the ad in the newspaper. Then, they fill out an application. Job Applications can be filled out in hard copy format or online, using google forms. In a couple days, they're hired! Next, they get a photo id badge. You can take kids' pictures wearing elf attire or have them draw themselves as an elf! Around the classroom, create pretend workstations! I also got a little inspiration from Krazy for Kindergarten Goes to Third Grade's Santa Suit Shopping activity, so I made my own. 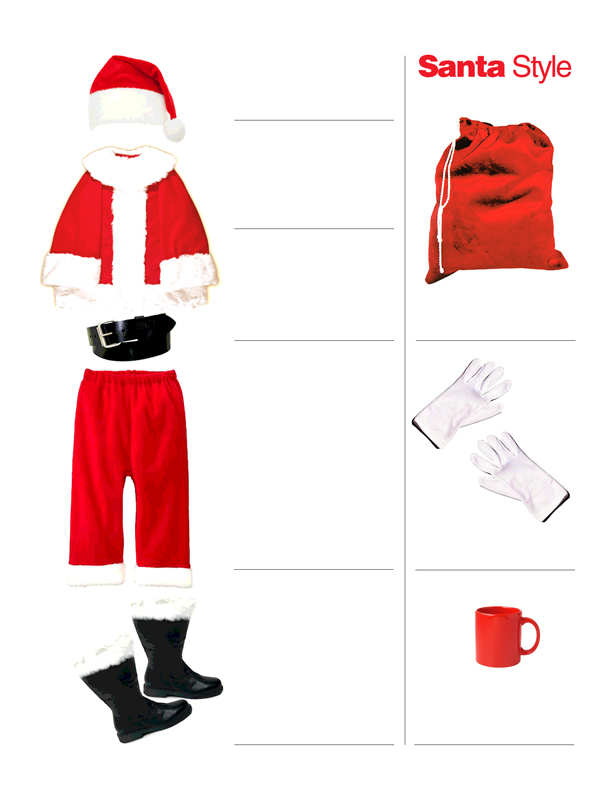 Costs of Santa's attire are left blank, so different age groups can play the activity. So, depending on how well your class does with counting money, write a price for each item. You could also have kids write their own prices. Then, they have a friend go shopping for Santa! Also Check out Krazy for Kindergarten Goes to Third Grade's reindeer games, cookie fractions and needs vs. wants activity, really cute!